The birthday boy is a very happy camper! 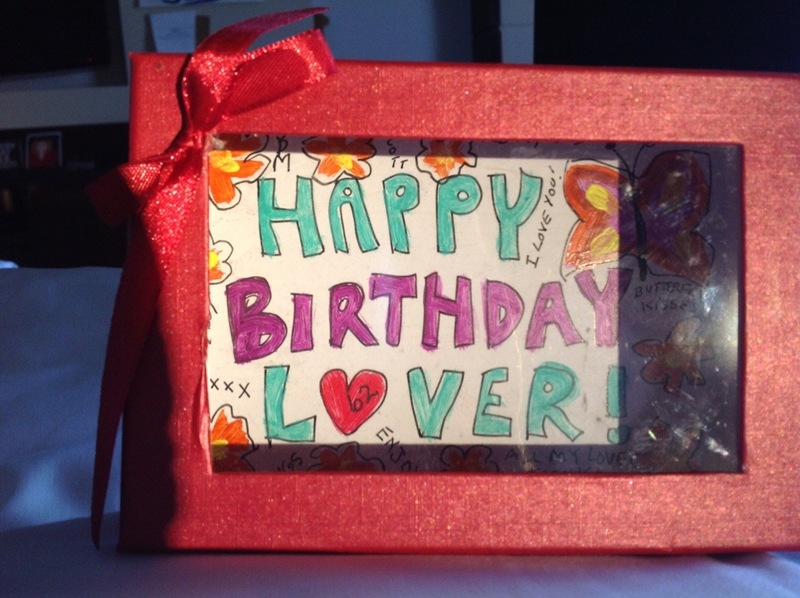 So many wonderful and highly personal birthday tributes ( a lot of poets among you!) are pouring in via email, blog comments, facebook posts, and phone calls! The festivities began with a couple hundred balloons delivered at 9:30 AM ( thanks, Dad!). 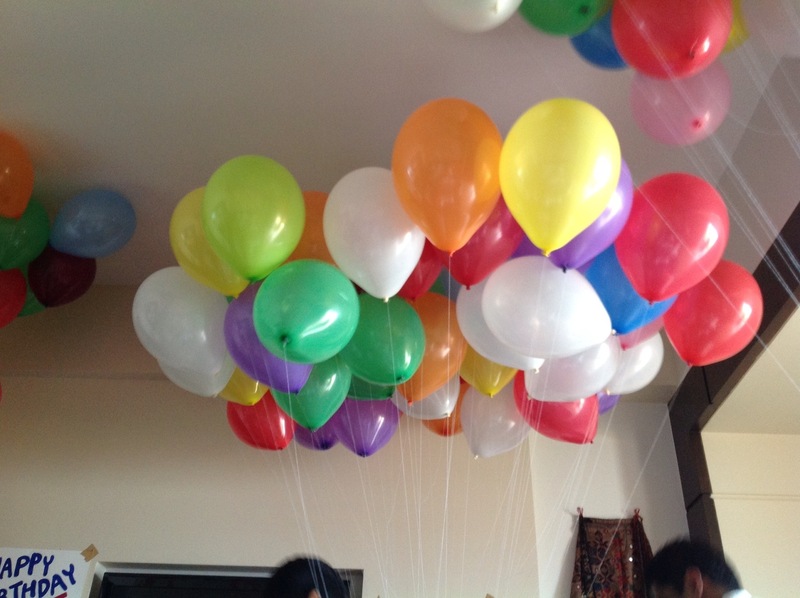 The ceiling is entirely covered with balloons….and a sitar seranade by Yograj to my lovey at 10. The highlight of that concert was Norwegian Wood with Scott improvising and we’ve got it videoed…Sanjiv and Ritu were our guests of honor—they flew in from Delhi just to be here for thecelebration–and their 8 year old( almost 9!) 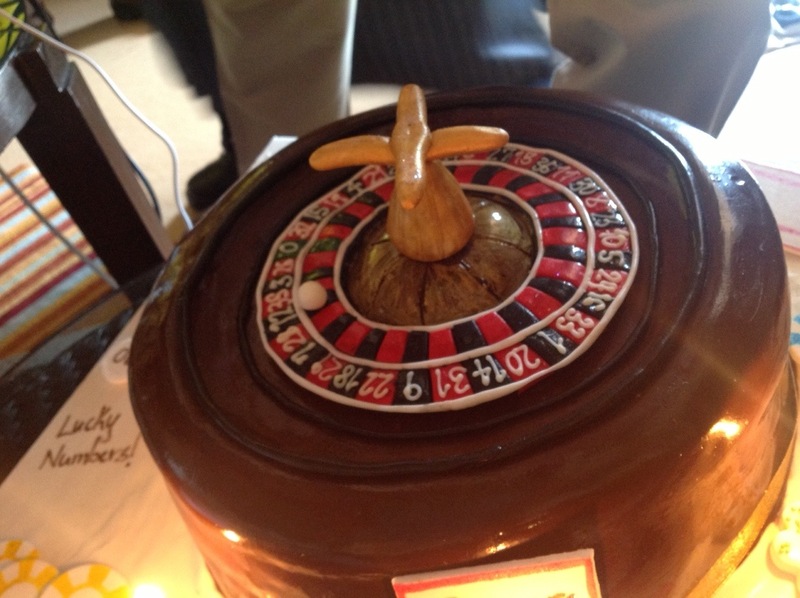 Indra’s orange birthday card with her depiction of “Uncle Scooty” at an easel next to her is just one of the treasured memories….the roulette wheel cake with his lucky numbers (thanks, Mom!) made by Marriott pastry chef Samantha was a big hit, as were many of the staff singing happy birthday not once but twice!…Champagne…. 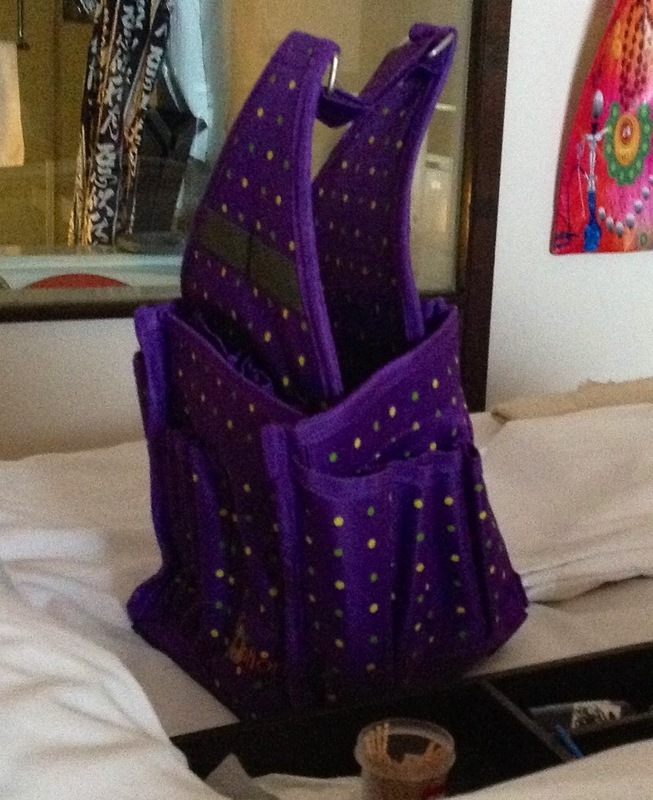 soft purple art caddy for his bed studio from brother Bob arrived just in time for Scott’s birthday…one of his doctors brought Scott a little carved elephant ( yay! I tried to get an elephant, really I did!). Oh! and the billboard wishes shown here are on exhibition at Katy’s brother’s place in Warrenton, Oregon. 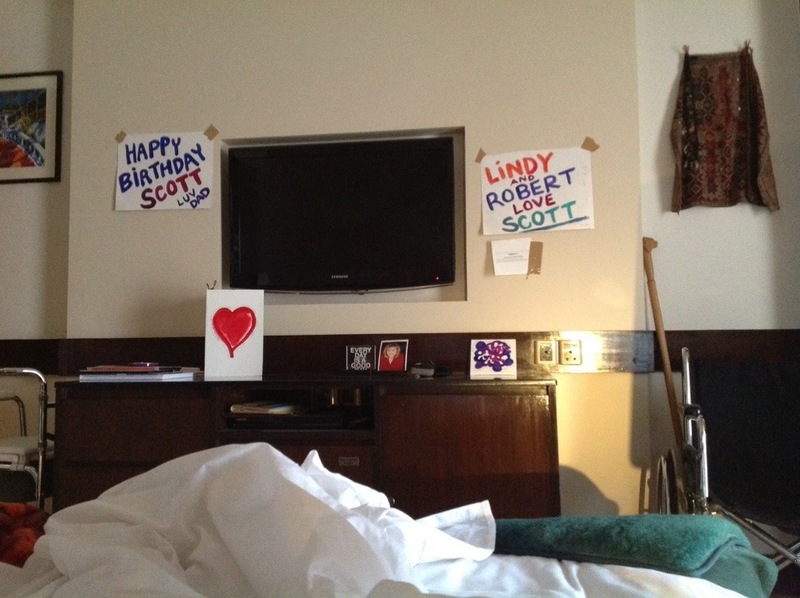 Happy Birthday, Scott! 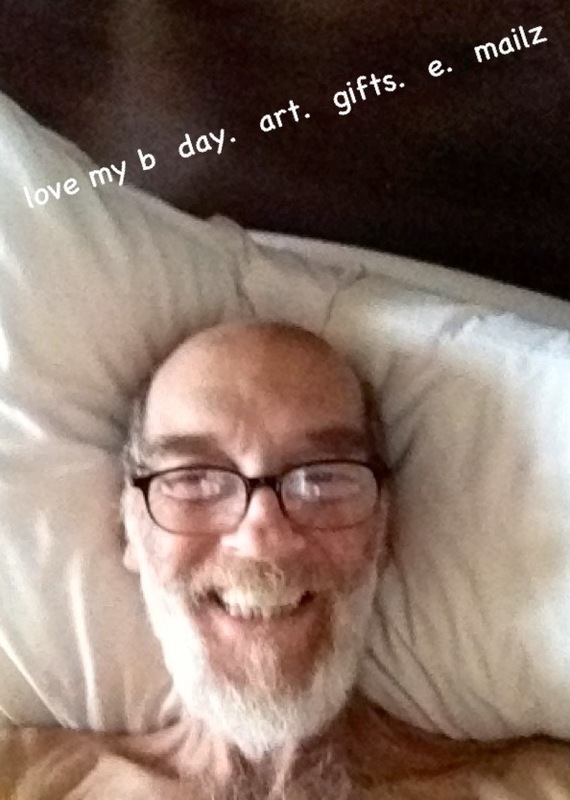 This entry was posted in Uncategorized and tagged birthday party, Going to Goa Blog, Katy Allgeyer, marriott goa, roulette wheel cake, Scott Morgan, traveling with cancer. Bookmark the permalink. What a wonderful birthday celebration! Great job Katy! 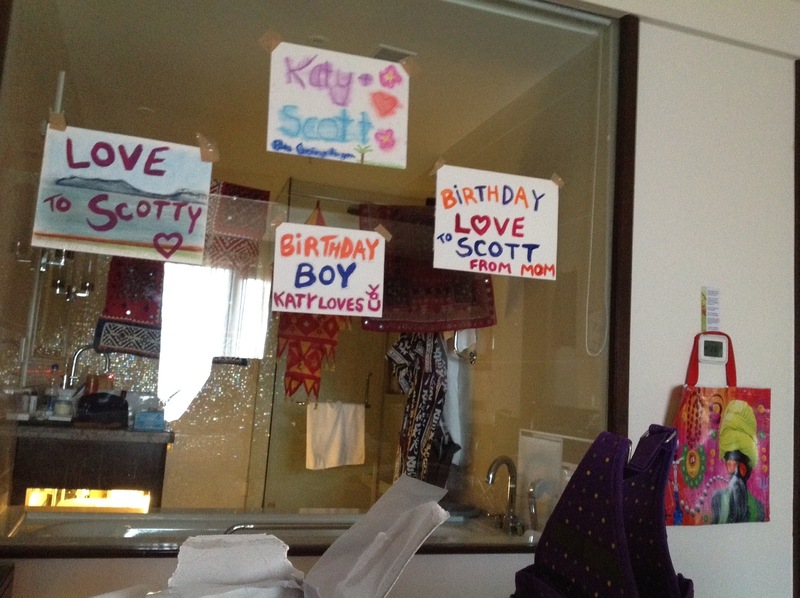 Many Happy Returns Scott! 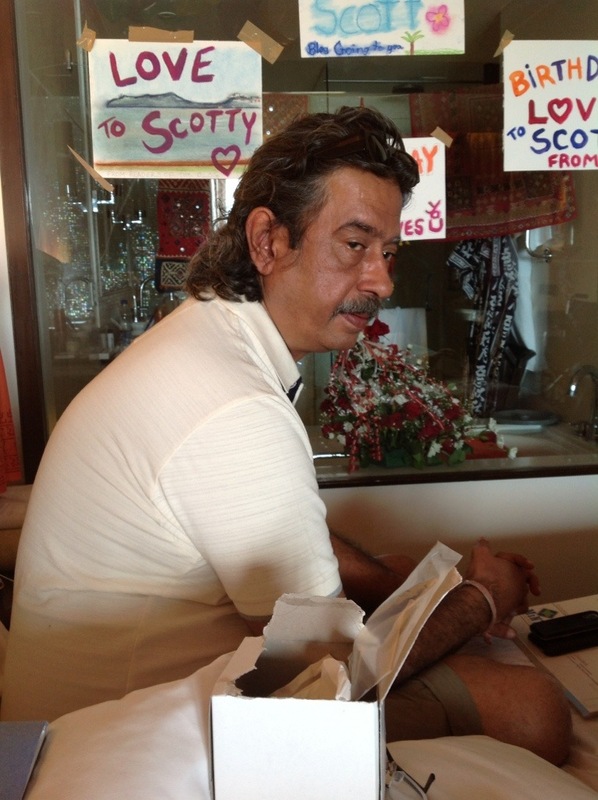 Love from around the world……….sounds like a wonderful day filled with friends ,laughter and song………hugs to you guys. Happy Birthday; you’re a star! You probably don’t remember me but I do you…….a fellow AISer from a long time ago. 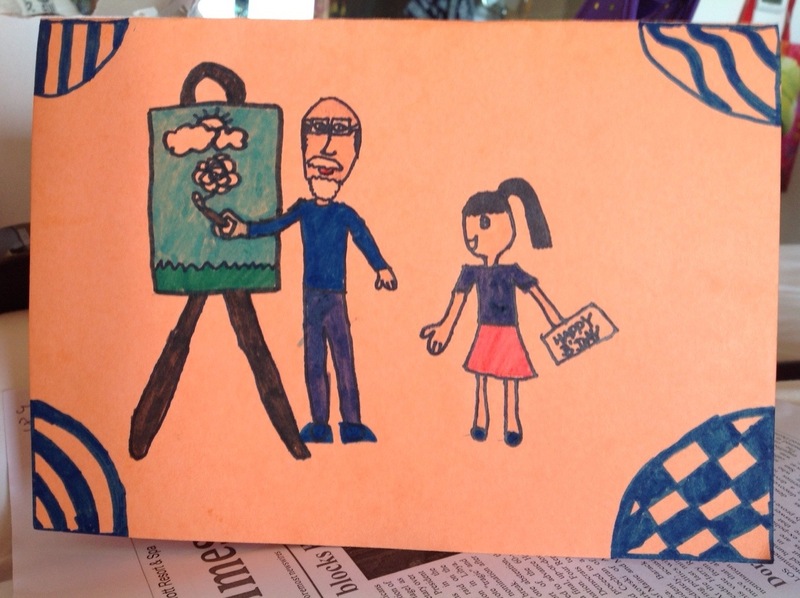 I am moved by this blog. May you be happy. 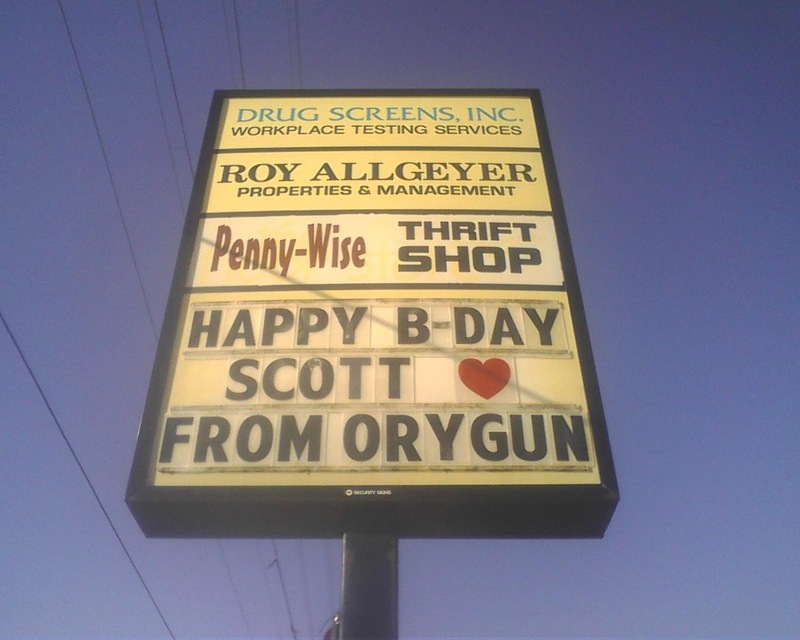 Happy Birthday, Scott! We love the amazing cake and the balloons :). We’ve been thinking about you all day long, from the other side of the globe!